In 1976 a former all-star wrestler from Virginia Tech dreamed of an athletic event that would be second to none in Louisiana. 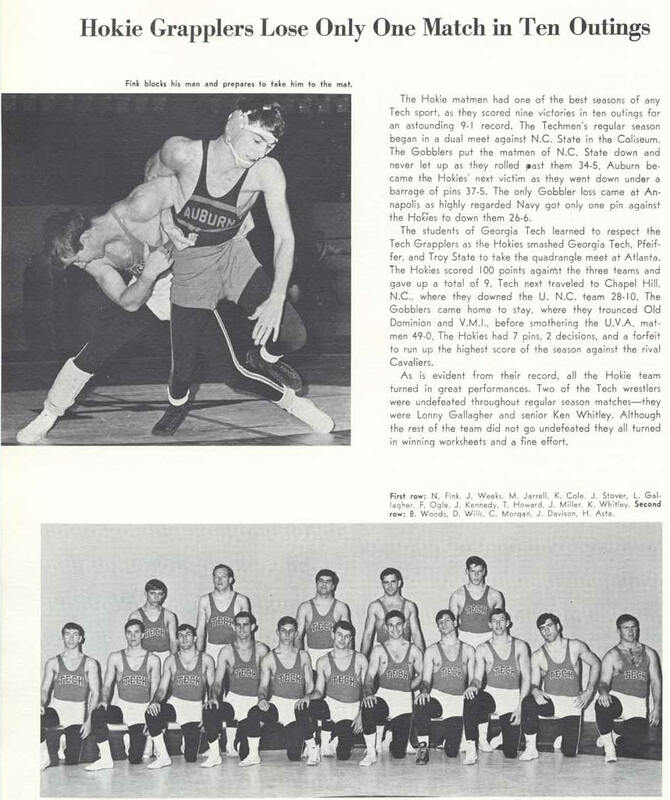 The problem was few, if any, high schools in the area or state even had the sport of wrestling. He set out to not only develop this event, but to develop and promote the sport of wrestling in the Lafayette area and throughout the state. Today's premiere event is the result of his efforts. As a small token of appreciation, and keeping in mind that it is impossible to commensurately thank or recognize a man who has unselfishly given so much, the Lafayette Invitational Tournament was renamed the Ken Cole Lafayette Invitational in 1992 in memory of the man who was primarily responsible for its inception and development. Kenneth W. Cole died on June 9th, 1991 at the age of 46. He had been a resident of Lafayette for twenty-four-and-a-half years. As a successful attorney and devoted family man he found ways to juggle his responsibilities to exert a profound and lasting impact on the sport of wrestling. His death left a huge void among wrestling circles locally and statewide. Despite all that he did over many years, Ken shunned the limelight. Repeated attempts to honor him with awards were refused by Ken. He would not accept, even in modesty, the recognition he so justly deserved. His only reward was to see wrestling prosper and to see the life-time benefits youths derived from participating in it. According to coaches who knew him well, the only thing he would accept, maybe, would be a wrestling tournament T-shirt. Ken's interest was in wrestling - not one school nor just one location. He helped Lafayette wrestlers in all six schools as well as wrestlers in New Orleans, Baton Rouge, Lake Charles and Shreveport - it did not matter to him. The driving force was wrestling's total development and nurturing. Back in 1969, it is told, as he was helping the USL (ULL now) wrestling program in preparation for a high-profile meet with a powerful LSU team, he had an idea of how to draw a larger crowd to the meet. Ken challenged the LSU wrestling coach to an exhibition match before the meet. With the challenge accepted, Ken went on to pin the much larger LSU coach to an excited, wildly cheering full house. And the USL team, highly pumped-up and motivated by this, went on to narrowly defeat the heavily favored LSU team. This is Ken - "Mr. Wrestling." Another of Ken's major achievements was getting the state tournament to Lafayette. He was successful not just once, but three times. We he put his hands and mind to something, high quality resulted. Ken was an inspiration to many, a friend to many. He gave and never looked to receive. In his memory, the name of Ken Cole is now part of the proud fruition of his work and is a fitting tribute to his dedication to the sport - The Ken Cole Invitational Tournament. Since the renaming of the tournament in 1992, Ken Cole has also been posthumously honored by being recognized nationally. Wrestling USA magazine has named Ken Cole as the recipient of the 1992 Master of Wrestling Award. This national distinction is another fitting tribute to Louisiana's "Mr. Wrestling." The page below is from the 1967 Virginia Tech yearbook. Ken Cole's Hall of Fame Induction Contingent.